Dr Nishanth Dev from the Department of Medicine, ESIC Medical College, Faridabad, who treated the patient, told The Indian Express that the teenager first came to him in 2015, complaining of seizure episodes. A tapeworm egg infestation in the brain of an 18-year-old boy in Faridabad, which resulted in his death two weeks after it was diagnosed, has found a mention in the New England Journal of Medicine. “We gave him medication for controlling the seizures. It was when we conducted the imaging of the brain to find the cause of the seizure that we saw that his brain was full of worm infestation. His parents then told us that he had also been complaining of a pain in his right groin area and swelling in his eye. We did an ultrasound of the eye and found worm infestation there as well. Further tests revealed it was there in the testicles too,” said Dr Dev. “This was quite extraordinary because we do see three or four worms in the brain in some cases, but this was thousands of cysts. I have never seen anything like it in my career, and I suppose it is a rare case in other parts of the world as well, which is why it has been published in the Journal,” he said. 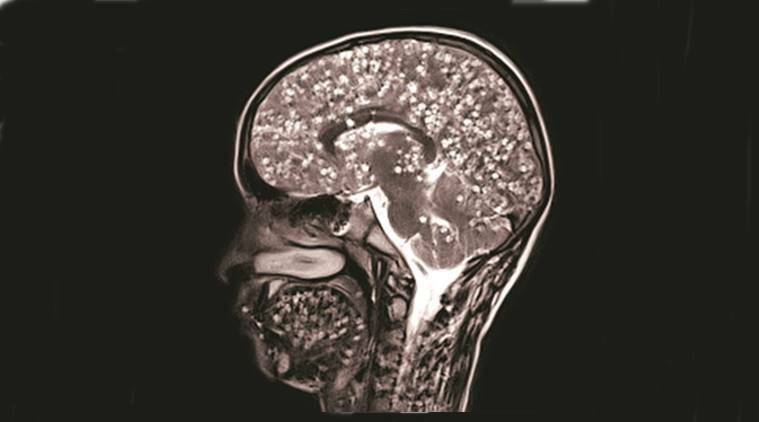 Despite the condition being recognised as neurocysticercosis — a disease that occurs when tapeworm eggs that have passed through the faeces of an organism with intestinal tapeworm are swallowed — doctors were not able to prescribe “anti-parasitic medicines” to the teenager, fearing this could intensify the seizures and also cause loss of vision. In such a situation, he was administered an anti-inflammatory drug and anti-epileptic medication. However, despite this, two weeks after his first consultation, the boy died. “This disease is usually caused when someone swallows tapeworm eggs, which are passed through the faeces of organisms with tapeworm infection. This normally happens from eating undercooked pork. However, the unusual thing here was that the patient was vegetarian,” said Dr Dev. “In such a situation, we suspect that the eggs entered into his system after he consumed water, vegetables or fruits that were contaminated,” he said.